The Holiday Property Bond (HPB) has allowed families to transform the quality of their holidays. A small investment opens up a plethora of holiday villas, cottages and apartments in over 30 locations across the UK and Europe. Duloe Manor, in Cornwall, is one such location. Built in the 17th century, this historic Queen Anne Manor house has been beautiful restored to provide top quality comfort for its guests. Recently, EverEdge was called upon to provide steel lawn edging that would be used to edge the courtyard lawn. 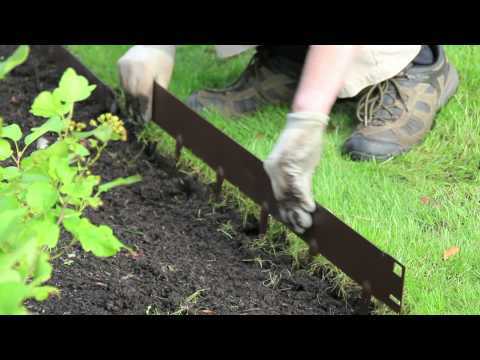 Lawn Edging from EverEdge offers customers a durable, attractive and practical product that can be used to form a permanent edge around almost any feature. For this project, 85 metres of brown ProEdge (2500mm x 125mm x 2.5mm) was required with each individual piece having a depth of 125mm to allow for the face of the edging to show around the courtyard. The final look gives a distinct impression that embodies the surrounding manor.